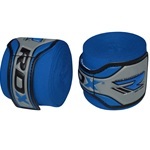 Your hands and wrists can be quite fragile therefore it’s important to have a pair of boxing hand wraps that’ll offer you enough support and protection. If you don’t know how to wrap your hands, therefore are several ways to do this, we demonstrate our preferred method in our video tutorial. 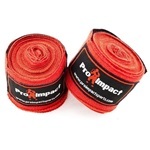 Hand wraps tend to be cheap and affordable and should be compulsory whenever any type of boxing training is carried out. 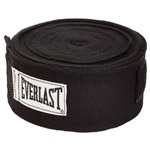 Hand wraps for combat sports such as boxing, Muay Thai, MMA etc tend to be the same, so even if you see a pair of hand wraps that says it’s for Muay Thai you can still use it for boxing. Boxing gloves are also designed to allow room inside the glove for hand wraps, so you’ll also fit more comfortably into a pair of boxing gloves when you have your hands wrapped up. 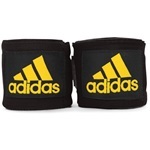 If you’ve chosen a good quality pair of hand wraps then now you’ll need a good set of boxing gloves and if your female then check out our best women’s boxing gloves, although women can use normal boxing gloves too. 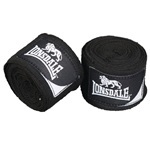 Hand wraps do tend to last for at least 12 months but that’ll really depend on how often you use them. If you’re training 4 times a week a good pair of hand wraps can last you 12 months, so it’s definitely worth the money but more importantly worth the support and protection. 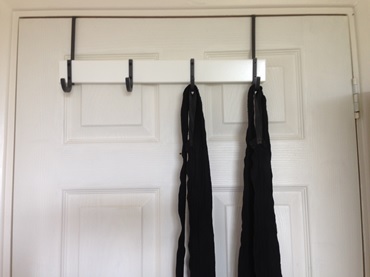 After a workout do not leave your wraps inside your gloves or in your bag, you need to hang your wraps up on a door hook or something to ensure you air them out so they don’t stink as bad and so they are not damp for when you next use them. You will also need to wash your hand wraps after every few uses that way the wraps will last longer and it’s also hygienic to clean them after every few uses. You can either hand wash them or put them in the washing machine.